Our emergency services save lives every day – but not every case goes right down to the wire as it did for Steve Van Meeteren. In the middle of a Wyong park, the stabbing victim received surgery and a blood transfusion. 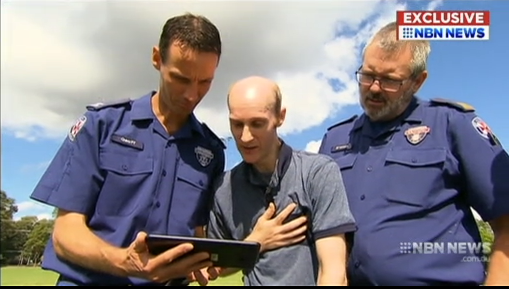 On Monday he was reunited with the men who saved his life with mere seconds to spare.